The Federal Bureau of Investigation (FBI) released hate crime statistics for 2017 revealing a disturbing increase of 17 percent in reported hate crimes from the previous year. Released at the start of Transgender Awareness Week, these statistics highlight the ongoing epidemic of anti-transgender violence, as well as hate violence against other marginalized communities. Because hate crimes reporting is not mandatory, the numbers undercount — likely significantly — the reality of bias-motivated crimes. 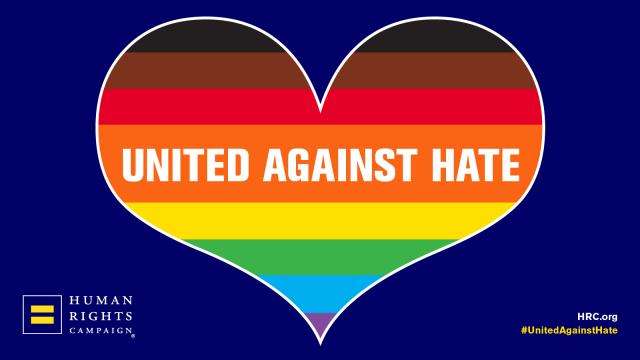 In 2017, 7,175 hate crime incidents were reported, 1,130 of which were based on sexual orientation bias and 119 on gender identity bias. These numbers reflect a five percent increase in reporting of hate crimes motivated by sexual orientation bias, and a four percent decrease in reporting of hate crimes motivated by gender identity bias. However, of incidents reported that were motivated by gender identity bias, 106 targeted transgender people, representing a one percent increase from 2016. The overall decrease in reported hate crimes motivated by gender identity bias in 2017 is largely due to a 31 percent decrease in incidents targeting gender non-conforming people. Despite the slight decrease in reported hate crimes motivated by gender identity bias, anti-transgender violence remains an epidemic. In 2017, advocates reported the tragic deaths of 29 transgender individuals across the U.S., the highest number ever recorded in a single year. While it is unclear if all of these were hate crimes, they illustrate the fatal violence that affects transgender people, especially transgender women of color who live at the intersections of racism, sexism and transphobia. Unfortunately, it’s not only LGBTQ identities caught up in an epidemic of violence. Bias-motivated crimes based on race, religion, disability and gender all increased. The FBI reported that anti-Black hate crimes increased by 16 percent, from 1,739 incidents in 2016 to 2,013 incidents in 2017. Hate crimes targeting Black people represented 28 percent of all reported hate crimes in 2017. Every other racial and ethnic group also saw increases in the number of reported hate crimes in 2017. Additionally, hate crimes motivated by anti-religious bias increased 23 percent, largely driven by a 37 percent increase in anti-Jewish hate crimes, which constituted the majority of religion motivated hate crimes. Hate crimes motivated by bias against people with disabilities increased by a disturbing 66 percent and hate crimes motivated by gender bias increased by 48 percent. Last month, HRC joined the nation in marking 20 years since Matthew Shepard’s death. These latest FBI hate crime statistics show that even decades after his brutal murder, LGBTQ people and other minorities are still facing alarming levels of hate-fueled violence. However, given that reporting hate crimes to the FBI is not mandatory, the FBI statistics likely represent only a fraction of such violence. While the number of jurisdictions reporting hate crimes data increased to 16,149 in 2017 from 15,251 in 2016, thousands of law enforcement agencies throughout the country did not submit any data. The lack of mandatory reporting means that the FBI data, while helpful, paints an incomplete picture of hate crimes against the LGBTQ and other communities. In addition, 87 percent of the agencies that participated in the program reported no hate crimes in their jurisdiction, suggesting that agencies still face challenges in identifying and reporting hate crimes. That is why since the passage of the Matthew Shepard and James Byrd Jr. Hate Crimes Prevention Act (HCPA) in 2009, HRC has worked with the FBI to update the agency’s crime reporting, from providing training materials to sharing details on hate crimes when they occur. HRC continues to press for improved reporting, passage of state laws that protect LGBTQ individuals from hate crimes, and expanded education and training initiatives. The Anti-Defamation League has mapped the hate crime incidents that were reported in cities with populations of more than 100,000 and includes information on reported hate crimes based on sexual orientation and gender identity biases. You can view this map here.